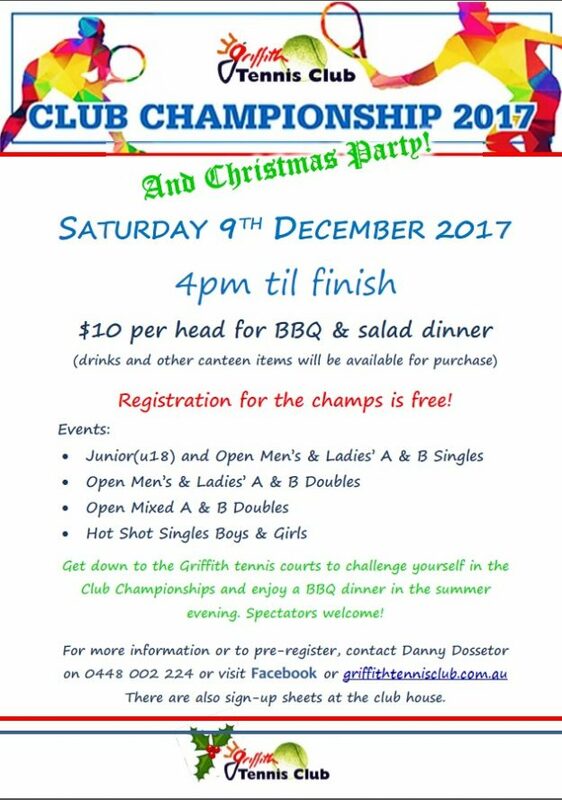 If you’re disappointed that the Griffith summer tennis season is finished, never fear – Winter Wednesdays are here! The program will kick off next week; Wednesday 24th May 2017 and run for 12 weeks (with a break for school holidays on 5th and 12th July) until 23rd August 2017. The format is casual pay-as-you-play, so there are no set teams locked each week and anyone can Just come on down to the courts on Wednesdays at 6pm for a social match when available (and the weather is behaving). Cost is $5 each player (to cover running costs) and anyone is more than welcome to contribute some tasty supper treats to share if they feel inclined (tea and coffee is always available in the club house). 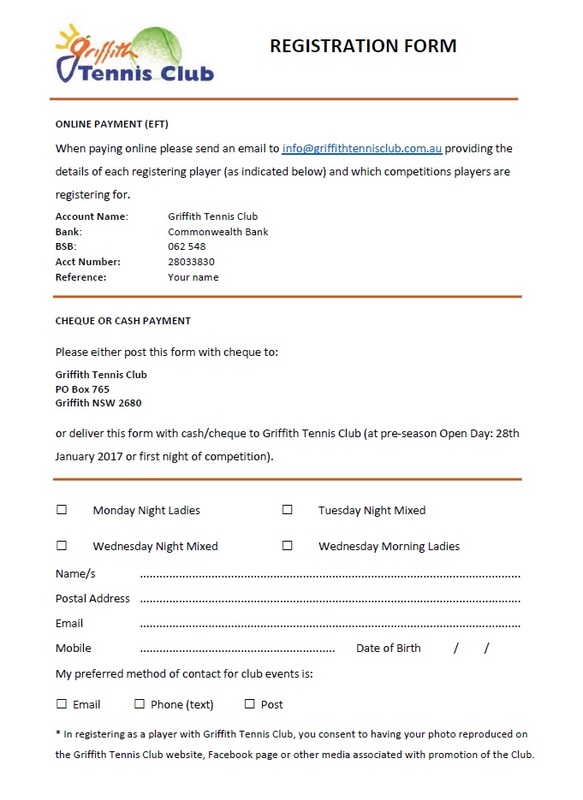 Winter Wednesdays will be ideal to keep up skills and fitness in the off-season for tennis-lovers or a fantastic opportunity for new or interested players to get into the swing of weekday tennis ready for the Spring Comp commencing in late August. So tee up a tennis buddy or a newbie to brave the chill and have a hit. This entry was posted in General Club Info on May 18, 2017 by Bec Byrne.